You are here: Home / Den Talk / 2011 BC Lions Season Preview: Improved and talented Lions hope to challenge for the Cup. 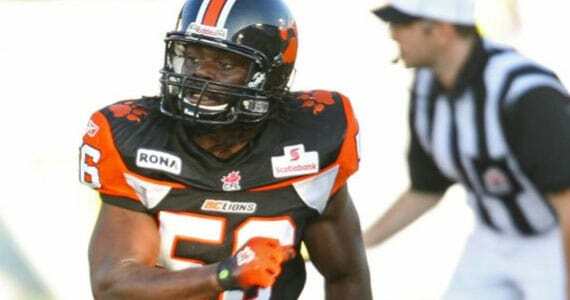 2011 BC Lions Season Preview: Improved and talented Lions hope to challenge for the Cup. With the BC Lions about to embark on the 2011 season, there is a lot of promise coming from the Lions den. After back to back 8-10 seasons, the Lions are now seen has having turned the corner and are looking to contend once again in the CFL West. With their finish to the season last year and a gutsy performance in Regina to end the year, the Lions left their fans wanting more. Last year’s young squad now has a year of experience. Key additions have been added and the team is moving into a fully renovated, state of the art BC Place Stadium. There is a lot to look forward to in BC, so let’s get to our BCLionsDen.ca 2011 season preview! On offence the Lions and their fans are hoping to finally have some stability at quarterback. It’s been a long time since the Lions had consistency at the position but in Travis Lulay they may finally have it. Lulay finished 2010 strong, directing the Lions to three straight wins to end the year and almost pulling off an upset in the hostile environment that is Mosaic Stadium. Lulay moved to Vancouver early in the off-season to fully immerse himself in the starter’s role. He was involved in frequent meetings with offensive coordinator Jacques Chapdelaine. He has made strides in each of his two years here and no as the starter will look to build on his success from last season. One thing Lulay must improve on is his interception to TD ratio which was 9 touchdowns versus 11 interceptions. This year, being the starter from the get go combined with his experience as well as having the benefit of an improved offensive line, Lulay should improve on both of those numbers. One of the biggest additions to the team was 2010 offensive lineman of the year Ben Archibald, who the Lions landed via free agency. The Lions found a gem in 2010 in rookie Jovan Olafioye and now boast a solid pair of tackles to help protect the QB. Angus Reid returns to centre the line, while John Hameister-Ries returns at one guard spot and a more confident looking Dean Valli wins out over Jesse Newman for the other. A stable offensive line will be vital not only for keeping Lulay healthy but also for establishing as more potent running attack, which was average for the Lions last year, allowing for teams to pin their ears back and pressure the QB often. The running game will once again feature Jamal Robertson who fell just short of 1000 yard mark with 953 on 154 carries. One of Robertson’s strength is catching the ball out of the backfield so look for more of that from the offensive attack of the Lions. Newcomer Tom Brown may be used in some packages but will primarily return kicks. The Lions need to find a way to better utilize Andrew Harris and Jamall Lee. Harris is coming off an off-season torn pectoral muscle but looked outstanding in camp, and the must see the field more. Lee is coming off major knee surgery and will be eased back into action, but oozes talent. The Lions were hoping for added development from Jerome Messam, but discipline issues at camp were the 3rd strike against the non-import and he was traded to Edmonton. Future hall of famer Geroy Simon returns for his 13th CFL campaign and will also look to be the benefactor of a more stable offense. Simon’s numbers have struggled in the first half of the last couple of seasons as the offense went through change after change and he continued to see double and triple teams. That said Simon always finds his way to upper echelon of receivers at season’s end and look for his numbers to improve this season, both in yards and touchdowns. Simon enters the season needing 1,432 receiving yards to move past Milt Stegall’s all-time CFL record of 15,153 receiving yards and become the number one receiver in league history. He also needs just 25 yards to surpass Terry Vaughn who sits in fourth place all-time. Simon will be joined by Paris Jackson who returns from a nagging knee problem that has now been addressed. Even so, Jackson was faced with the choice of taking a pay cut or be released. He chose the former and should be motivated to prove he’s not done. Shawn Gore will be one to watch as will Nick Moore who was on the practice roster the 2nd half of last season, Akeem Foster and newcomer Dobson Collins will start the year to fill out the core. Steven Black who showed well at the end of last season lost out to Moore after two pre-season games and will await his turn to compete, as will free agent signing Kamau Peterson who is coming back from an Achilles injury and looking to resume his career after being released by the Eskimos. One of the areas the Lions needed to improve was on the defensive line. After leading the league in sack for multiple years, the Lions pass rush dropped off in 2011. The team brought in nose-tackle Eric Taylor (Toronto) and along with Keron Williams and Aaron Hunt he will form a solid line. Brent Johnson who will start to open the season in Montreal due to ratio issues also returns as does Khalif Mitchell. The Lions are excited about newcomer Rejon Henley as well. Without finding the next Cameron Wake at DE the Lions will rely mostly on a 3-4 package, utilizing their strong set of linebackers and all-star Korey Banks at nickleback. Banks has really thrived in the position and keeps getting more dangerous. He can cover and rush the QB and the Lions love to bring him on the blitz giving opposing offenses plenty to think about. Rookie of the year Solomon Elimimian returns with his hard hitting all over the field style and could be a candidate for defensive player of the year when it’s all said and done. With Adam Leonard and Anton McKenzie complimenting and James Yurichuk, Joe Henderson and project Adam Bighill waiting in the wings, the Lions are confident that the linebacking core is in great shape. The strength of the defence likely lies in the secondary. The Lions sport a veteran group led by the likes Banks, Ryan Phillips, Davis Sanchez and Dante Marsh. The Lions wanted to uses non-imports at safety but that plan hit a bit of a snag when J.R. LaRose broke his forearm during the pre-season. That opens the door for Jason Arakgi but don’t be surprised to see a lot of David Hyland who the Lions simply have to find a home for. Hyland, who is always around the ball and a heavy hitter, will likely start at halfback for the injured Stanley Franks and is a ball hawk and is a hard hitter with a big future in this league. Losing Yonus Davis was a big blow late in the off-season but the Lions may have found a keeper in RB Tim Brown. Brown won the kick returner’s job from Stefan Logan’s cousin Michael Smith and looks promising. Andrew Harris will also return kicks, so the Lions should be ok to start the year. At 41 years of age, Paul McCallum keeps on ticking. He was money on field goals last year and his punting is still very effective. The Lions chose to keep the veteran over Sean Whyte and drafted Hugh O’Neill to be McCallum’s understudy and he hasn’t looked out of place if needed. The Lions will be an improved team, with a lot of young talent that has a year under its belt. The goal is to be in the Grey Cup game in BC Place come November and in the CFL anything can happen. The team should be able to improve on its previous record of 8-10. 11-7, 12-6 may not be out of reach for this team, who should contend for a home playoff date in the West. KEY PLAYERS DEFENCE: , DE Keron Williams, DT Eric Taylor, DB Ryan Phillips, DB Korey Banks, S J.R. LaRose, CB Dante Marsh, CB Davis Sanchez, LB Anton McKenzie, LB Solomon Elimimian, DT Eric Taylor, DT Aaron Hunt, DE Brent Johnson. NEW TO THE TEAM: Archibald, Taylor, SB Kamau Peterson, Iannuzzi, RB Tim Brown, WR Dobson Collins, WR Nick Moore.